In Michel Faber’s novel, The Crimson Petal and the White, the subject of some previous posts – the main male character, William Rackham, has inherited a soap ‘empire’; the product famed for its Lavender perfume and also having William’s face printed on the packaging. What a brilliant decision of Faber’s to select that particular product on which to base his industrialist’s wealth, with William's story reeking of filth and degradation. A contemporary Victorian model for a business such as Rackham's could very well be that of Pears – the company that won a medal at the Great Exhibition in 1851. 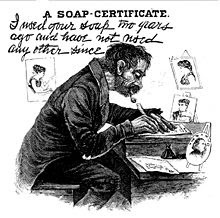 How proud William Rackham would have been if only his soap had achieved as much! Pears soap was named after Andrew Pears who originally hailed from Cornwall before travelling to London to set up in trade as a barber. 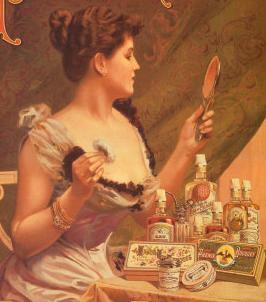 There, in 1789 Andrew began to manufacture cosmetics which he based on glycerine and natural oils, with those ingredients believed to be purer and kinder than some others which which enhanced what was then the fashionable look of an ‘alabaster’ complexion - but which also contained harsh ingredients such as arsenic or lead. As the years went by Pear's cosmetics business grew popular and prospered, until eventually handed down to Andrew's grandson, Francis. Francis then built a factory on the outskirts of London, in Isleworth and, later, in the nineteenth century, his son-in-law, Thomas J Barratt, helped to promote the family brand before he took over as head of the firm. Barratt is sometimes spoken of as the father of modern advertising. He took to buying the rights to art which he then reproduced as posters, adding enormously to the popularity of the soap. If you look for Pears in Google images you will find a huge selection of prints. 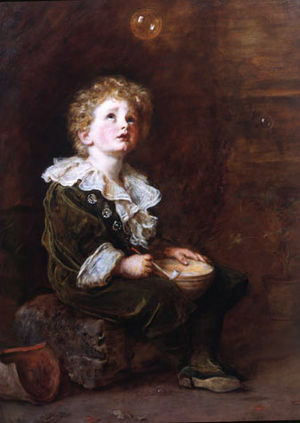 Why, even Mr Millais, one of the VV’s favourites, provided a picture for Pears to use: ‘Bubbles’ is still very well known today. 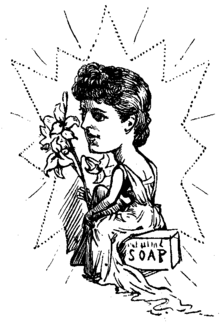 Another promotional method was to use the soap as an emblem of cleanliness of the civilisation spreading throughout Queen Victoria's Empire. 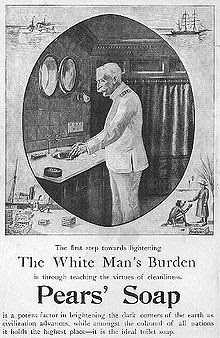 Images such as this one below would be construed as racist today, though it is actually mild compared with some of the others used. 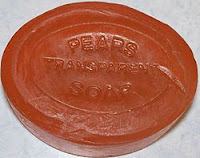 Ingeniously, at one point, unwanted coins were bought from France and then re-pressed with the words ‘Pears Soap’. This advertising tool was then often passed off as common currency. Lily Langtry, famed for her ivory skin, was employed as a celebrity endorser of the brand, for which she was very handsomely paid - a fact that Punch magazine made fun of in various cartoons. Between 1891 and 1925 Pears printed Christmas Annuals - books with stories where some pages were filled with the company's advertisements. Also in the early twentieth century the 'Miss Pears' competition was born, with families entering their little girls in the hope that they might then become the next beautiful 'face’ of Pears. Pears soap is an enduring brand that can still be bought in the shops today, the almost transparent amber bars being unique and widely loved – so much so that when Unilever, the company who now own the brand, attempted to alter the perfume there was an enormous public campaign to revert to the original. I'm sure that Mr Andrew Pears would be extremely proud to know that his recipe endures today. In the early 20th century Pears became part of Lever Bros. and manufacture moved to Port Sunlight in Cheshire. At the centre of the Port Sunlight village is the Lady Lever Art Gallery, built by Lord Lever in the 1920s. Now open to the public and worth visiting for its impressive collection of Pre Raphaelite paintings. A second way in which Pears has enhanced all our lives. 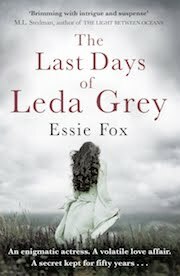 Thank you so much why-Lydia - wonderful information, and definitely worth a visit. You suggested that a contemporary Victorian model for a successful business was Pears, a medal-winning company at the Great Exhibition in 1851. I love that idea :) The Great Exhibition was, to my mind, a great opportunity to display industry, design, the arts, modern porcelain, scientific advances etc. But why shouldn't a well designed and marketed soap be rewarded? Re Lydia's comment on Port Sunlight village and Lady Lever Art Gallery, spot on! I wouldn't have been able to find Port Sunlight on a map until The Antique Roadtrip went there recently. Worth a historian having a look at the town and gallery. Thank you VV for your post. It makes me want to go out and buy a bar of Pears soap! I haven't used it for years. Interesting to hear about the Lady Lever Art Gallery from why-lydia. To me and many others, I'm sure, Pears is synonymous with gorgeous Victorian paintings. I always use pears soap. I worked at the Isleworth factory in 1960. Been in Australia 48 years and carried on using it. Pure soap and I am always reminded of my workplace when I use it. It has such a lovely evocative fragrance. I ADORE the smell of Pears soap, and was (very nearly) a smidge offended when I noticed it now comes in a handy dispenser bottle - until the shape and colour persuaded me that yes, they're sticking to their beautiful trade-marks - nice that some things endure. I love it too...so nostalgic. Cussons Imperial Leather soap has a similar affect on me, though quite a different perfume. I have a Pears print I believe is called "The Gentleman Caller" still in the original frame. It is a large print and the frame is also an antique. Found under a house I bought, the house built in 1898. Can you advise if this worth anything? I'm sorry. I don't really know about values. Have you tried contacting one of the large suction houses for a valuation, or looking for similar in eBay etc to give an idea of value? That should be 'auction' house. Sorry! I have a numbered print of "Seeing", on of the 5 Senses Collection. Do you have any idea if I would be able to find out who originally owned this, I'd love to find out the history of the owner and how it ended up beign sold to me. I've tried to locate information, but I'm not having any joy. Any ideas would be gratefully received. Many thanks. Lets hope someone can point me in the right direction. I really would love to learn something about the history. 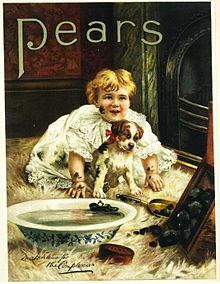 My husband's Grandmother was a Pears poster girl and I would love to find a picture of her any ideas where I can look? Dear Chickierock - how wonderful! I would suggest contacting Unilever (their Press and Publicity or Corporate Communications departments) who are the current manufacturers. They may well have some idea as to how to track down that information. Good luck! 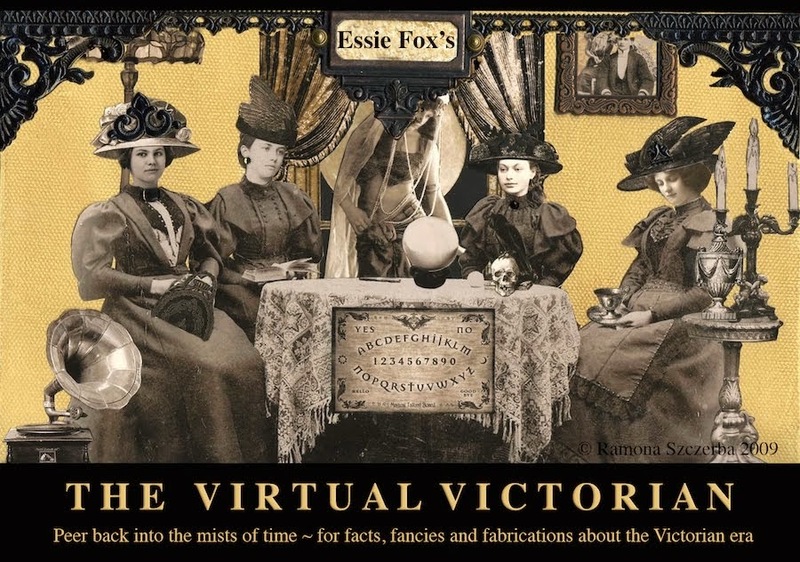 I am intrigued by the first image of the lady with the looking glass. Could you tell me where you found it please? Many thanks for such as enjoyable blog! Hello Plain, Charmless, but Highly Opinionated! I'm really sorry - I've been searching my files but can't find this image any more. I'm pretty sure it was an old Victorian advert...and I'm still looking. I'll let you know if I can find it again. Sorry not to be more help. I have been aware that Pears Soap used to have a new model for their soap. In 1901 my grandmother's sister, Georgina Thompson of Middlesbrough was selected as the model. The painting of her hung at the home address of my late uncle, Frank McIntosh. I think it then passed down to his eldest son. How fascinating. It would be lovely to see the painting of Georgina.